To donate to Marvin’s bail click the donate button UNDER the thermometer on the left! Marvin Boone aka “Marvelous Marvin” has been charged with being mirthful in the morning! Marvin has been filling the Tampa Bay airwaves for over forty years! He makes mornings fun! He must be stopped! Marvelous Marvin is a second generation broadcaster. He has been on the radio in Tampa Bay since 1978. He has no ambition but he does have a lot of listeners. Hes been married in Vegas twice so he knows he’s not lucky. 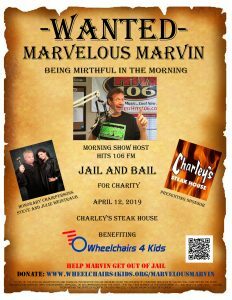 Please make a donation today to help Marvin get out of jail. Ask your friends to donate too. Who knows, maybe they can become an accomplice?! 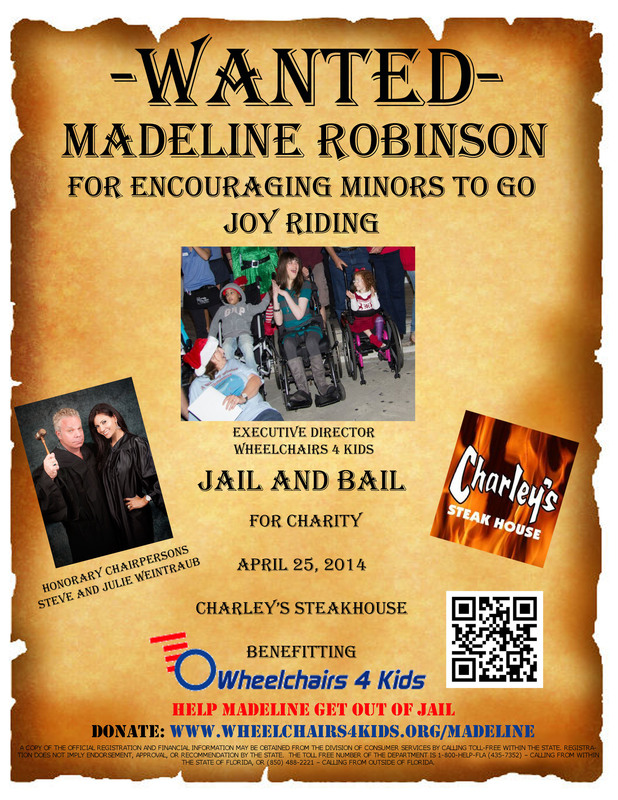 Every donation will make a difference in a special child’s life!